Tallaght students in primary and secondary schools will be enjoying new computers, flat screens and other high tech equipment under a new Government initiative, according to Dublin South West TD and Independent Minister, Katherine Zappone. Under a new ‘Digital Strategy’ schools will be receiving between €4,000 and €27,000 depending on the numbers of children on their roll book. Minister Zappone says the move will allow schools in Tallaght and surrounding communities to respond to the needs of a high-tech generation and provide training for the jobs of the future. “This funding is being made available to schools under a €30m investment across the country to ensure they are equipped to offer high tech skills. The grant is worth approximately €4,000 for a 100 pupil school and approximately €11,000 for a 500 pupil school at primary level. At post-primary grants of €15,000 are available for a 500 student school, and over €27,000 for a 1,000 student school. · Teaching computers/shared student computers. These may include desktop PCs, laptops, tablets or hybrid devices. · Projectors including short throw or ultra-short throw, long throw, interactive, or interactive flat screens (IFS). · Cloud based tools and applications to support learning. 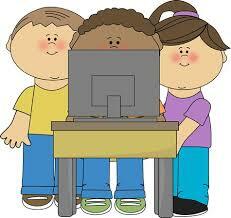 · Learning platforms – these are generally cloud based applications used to support the teaching and learning process.